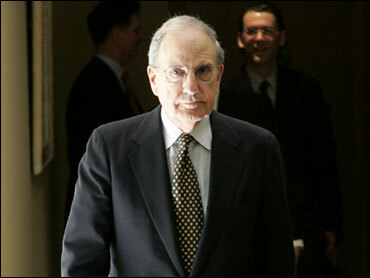 US special envoy George Mitchell will be in Syria soon. Anchor Katy Clark speaks with Syria expert, Joshua Landis, about the prospects for change in the Middle East. Landis is associate professor of Middle Eastern Studies at the University of Oklahoma. Mitchell’s assistant, Fred Hof, has been in Damascus preparing the ground for Mitchell’s arrival. Martin Indyk recalls riding with Ehud Barak on flights from Israel to Washington as often as possible in order to glean as much as he could about the prime minister’s thinking. At the time, it was apparently a rather battered old 707, with a bedroom that had been hastily installed with little room for more than a bed. On the eve of the summit, Indyk, then an assistant secretary of state, was waiting for Barak’s arrival at Andrews AFB. After the delegation filed off the plane the prime minister failed to emerge, Indyk climbed aboard and found Barak in his bedroom. Barak motioned for him to sit on the bed alongside him. He told him he couldn’t cut a deal with Assad — there would be no peace in exchange for the Golan. Danny Yatom also recalls going to the gym with Barak and finding Syrian Foreign Minister Farouk al-Sharraa there working out. Barak tried to make a joke, saying that he would follow al-Sharraa through the routine so they could see who was stronger; al-Sharra picked up his belongings and left without a word. So where are we now, nearly a decade down the line? While Washington seems to be content to quibble about whether Hillary was upstaged by the White House’s decision to return an ambassador to Damascus — apparently without a quo to match the quid — the difficult question remains unanswered: can Damascus really offer what Israel’s after? Far more than recognition; more than a peaceable border — Hezbollah seems to be the one issue looming in the minds of the Israeli leadership. Hezbollah, the dominant Lebanese political movement, or Hezbollah the militant lung through which Iran breathes? If Israel attacks next year, we’ll certainly find out. But until then, post-election Hezbollah, the better equipped, more strategically positioned, and more internationally credible incarnation — having proved willing to play both sides of the democracy game — remains an insufferable ire for Netanyahu. Bashar is looking for concessions that are quite tangible — one can wrap the mind around 1,200 square kilometers of strategic high ground. But networks of support connecting Syria to Nasrallah’s army, contacts and friendships intertwined with intelligence and armament deals — these are less concrete, less severable bonds. If Bashar is as eager to get the Golan back as we’ve all believed — and as David Lesch, who literally wrote on the book on the new lion, suggested while presenting a paper at the National Press Club last week — he’ll have to be less fixated on dangling his feet in lake Tiberias than his father was, and more devoted to delivering on the Party of God. The Israeli leadership is rightfully wary of what the new lion can deliver. The young receive free educations and the old get free geriatric care. Family businesses connect relatives in a web of interdependence to the furthest reaches of kinship. Wedding receptions with 1,000 guests are common. A Friday night Sabbath dinner with 40 people is the norm. And that enveloping tradition among the Syrian Jewish communities of Brooklyn and New Jersey seemed to redouble the shock and outrage among their members Thursday after the arrests of five Sephardic rabbis in a New Jersey corruption investigation. In a criminal complaint, the F.B.I. said the rabbis used their congregations’ charitable organizations to launder about $3 million — passing what they were told was a donor’s ill-gotten gains through their charities’ bank accounts, and then returning the money to the donor in exchange for a cut of 5 to 10 percent. The donor turned out to be an apparent F.B.I. informer, Solomon Dwek, who, like the rabbis, is a Sephardic Jew of Syrian descent. One of the five rabbis, Saul J. Kassin, 87, a slight, soft-spoken man who has written several books on Jewish law, leads the largest of about 50 Sephardic synagogues in the United States, Shaare Zion in Brooklyn. He is considered the leading cleric of the national community. The congregation was founded by his father, Rabbi Jacob S. Kassin, who was known from 1932 until his death in 1994 as the chief rabbi of Brooklyn’s Syrian Sephardic Jews. Sephardic Jews trace their ancestry to Spain and various parts of North Africa and the Middle East, as distinct from the Ashkenazic Jews from Eastern Europe. They include Moroccans, Turks, Iranians and Iraqis. But most belong to families that emigrated to the United States from the Middle East, especially Syria, because of anti-Jewish attacks there after the establishment of the state of Israel in 1948. In 1935, Rabbi Kassin’s father issued an edict forbidding both marriage outside the faith and marriage to Jewish converts, she said. At the same time, Sephardim, unlike the ultra-Orthodox who live at a remove from American society, attend public schools in the lower grades and are encouraged to succeed in business. Among the successful businesses founded by Sephardic Jews are Jordache and Bonjour, the jeans makers, and the Conway and Century 21 department stores. Phone messages left at Rabbi Kassin’s home were not returned. At the home of his son, Jacob S. Kassin, a woman answered and said the son would not be available to comment. David Ben-Hooren, a member of the congregation and publisher of The Jewish Voice and Opinion, a conservative monthly newspaper, spoke to reporters at the synagogue, on Ocean Parkway. The Nakba is leaving the education system: Education Minister Gidon Saar decided yesterday to cancel the subject of the Nakba in the Arab sector. The Nakba is the description used by the Palestinians for Israel’s victory in the War of Independence, and literally means “catastrophe. And STILL the Israel-apologists will say that Hafez was the one who walked away from a peace deal. I respect Al Moufti, but how and why he is allowed to change and even know about the ALL the 18 changes (WOW) out of 650 most of them are backward rules, does he solely reflect all the Syrian views and what if I don’t want him to reflet my views and I prefere some other organizations to decide the status law for my family? The freaking lying government with its freaking lying prime minister Outri did announce that they refused the proposal? bunch of freaks, they deserve to be put in a farm to manage animals not near any human being. قال مفتي الجمهورية د. أحمد حسون إن مسودة قانون الأحوال الشخصية الجديد يكفل حقوق كافة أطياف المجتمع السوري, مؤكدا إلغاء 18 من أصل 650 مادة حتى الآن ليصار إلى تعديلها . وكشف حسون خلال ندوة له في جامعة الوادي الدولية مساء أمس ضمن نشاطات مهرجان القلعة والوادي عن سعيه لفصل دار الإفتاء عن وزارة الأوقاف وتأسيس كيان خاص بها. وذكّر المفتي خلال المحاضرة ” بالمعاني السامية لأدائه و مجموعة من المصلّين صلاة المغرب في كنيسة القصير قبل 24 ساعة من موعد ندوته في الوادي”..
وقال إننا جميعاً أبناء دين واحد وشرائع متعددة “تعني السعة في الحياة وليس الضيق كما يظن البعض”, مطالباً بالدور الإنساني لكل من المسجد والكنيسة لأن “الإنسان هو بيت الرب الأقدس”. واعترف مفتي الجمهورية بإثارة حفيظة بعض رجال الدين عندما أطلق مقولته “الإنسان أولا والدين ثانيا”، متسائلا”ما الفائدة إذا بنينا المساجد والمعابد ونسينا الساجد والعابد؟” . وغمز د.حسون من قناة بعض الإعلاميين الذين “وقعوا في مطب بعض رجال الدين” من حيث تحكمهم بمفتاح المدح والذم, لافتاً إلى بعض أعضاء مجلس الشعب الذي “يكبس” المصور بـ 500 ليرة” ليركز الصورة جيداً”. وختم مفتي الجمهورية بدعوة المسيحيين لعدم الهجرة, وتجنب الانبهار ببريق اللذة في أوروبا مع الحرص على طلب العلم وإفادة الوطن منه. Arafat was “murdered” by the AIDS virus. I think what is happening with all this about the personal status law is very wierd.. how come a government be so oblivious and/or rejecting to the demands of a very wide segment of the Syrian society who unequivicaly opposed this draft law. and now he is talking about the Christian community should not be driven to immigrate, I am sorry but he seems a little off balance to say the least. I think this battle will mark the begining of the end of the Baath party rule in Syria. A major breakthrough is expected in peace talks between Israel and Syria in the next few days, London-based Arab daily Al-Quds Al-Arabi reported Saturday. The paper, quoting ‘senior sources,’ reported that the progress was the result of “unprecedented” intensive action on the part of US Middle East envoy George Mitchell and Turkish mediators in recent weeks. According to the report, Israel has relayed messages to Damascus that it is willing to withdraw from the Golan Heights in return for Syrian guarantees and a commitment to cut ties with Iran and Hizbullah. I agree, this whole charade is weird, what I think is that this corrupt and handicapped government didn’t expect to have any kind of resistance toward their decisions, they get used for us agreeing with them on every crappy decision they make since we have no say in the decision making or the policy they run the country with. I believe that The Baath party is no longer in effect in Syria for more than 10 years now, (I wish it was, we would’ve been in much better situation at least the rules would be clear) what drives Syria is not a political party at all, it’s somekind of collaboration between businessmen, religious clergy and a security system, there is no clear domestic policy driving Syria at the moment whatsoever, everything they do is for the best of the afformentioned cast and for abou ahmad who doesn’t belong to any of those categories has no power to even think. Isn’t the Quran the holly book and everything else is debatable , can somebody explain to me how important Sharia laws and how much they are essential part of Islam. All are welcomed to comment . corrupt and greedy Rabbis in America. (50 lines long summary). what that “Rabbinic” story has to do with Syria..
What..? because their parents or great-parents emigrated from Syria? there specifically, and not as a clue. Don’t wonder, I know that and I think a lot of others know that. The first quandary is if someone covers the bad apples for how long he can do that and what those bad apples are doing in the bottom to the good apples. The whole report from the UN was not mentioned because of the same reason you suggested. The other quandary is: are the defenders of the regimes in the Arab world doing any good to their constituents if they defended them all the way and make of one regime better than the rest of corrupt bankrupt regimes or better at least to sparkles some criticism to look coherent at the least. I think it’s a bit funny for us as Israelis to criticize our host’s “priorities”. If you don’t like the style, if you sense there is great imbalance, and if that truly bothers you, why not spend the time sunbathing at the warm beaches of Tel-Aviv and Herzliya? On the other hand, this is perhaps a once-in-a-lifetime opportunity for you to communicate with your “enemies”. I’m sure there are more constructive ways of doing that, than continuously criticizing them. Not everyone agrees with the appeasers at Haaretz and Professor Gabi Sheffer. I never understood why you think a liberal Leftist is more of an appeaser than a conservative Rightist. If “to appease” means “to give our enemies what they want“, then more governments of the Right have done that, than governments of Ha’aretz-reading PM’s. Who returned more land? Who gave back control to the corrupt-Fatah? Who encouraged Fatah to have democratic elections? Who forced Jews out of their homes? Interesting selective-definitions you have for… “appeasers”. OK, this time I want YOU to answer these three questions, without Wikipedia links, without PDF files, without CAMERA.org explanations. Just Akbar-wording. 1) What does it mean to “destroy Israel”? 2) What does it take to “destroy Israel”? 3) In practical terms, how can Iran threaten Israel’s existence? Who gave back control to the corrupt-Fatah? Who encouraged Fatah to have democratic elections? Who forced Jews out of their homes? The term “appeasement” has nothing to do with returning land, encouraging elections, or forcing Jews out of their homes. “Appeasement” means doing something like the above without getting anything substantial in return. Most people, when they talk about appeasement, refer to the agreement the UK reached with Hitler under Neville Chamberlain. In the case of Israel, it is the Oslo Agreement. The agreement with Egypt was NOT appeasement. Without using a link, destroying a country is something that has occurred many times throughout history. I’m surprised you need me to define what that means. Shai, you have a habit of asking simple questions. What has happened to your common sense? Of course, liberals have always had diffiulty in this area. The term “destroy Israel” could easily mean enough death and destruction such that the government ceases to function, or that another country forcibly moves in to claim the land and then sets up its own government in place of Israel. It could mean a multi-front war like the Yom Kippur War, or a nuclear weapon exploding inside a major Israeli city. I await a long battery of equally “stimulating” follow-up questions. Thanks to George W. Bush, Libya gave up her advanced nuclear program. Of course, we won’t read about this in Time magazine. And we certanly won’t read about similar victories now that we have an appeasement US administration. Do you think Iran is willing to take Israel’s typical retaliation? … you know that when one Israeli dies after a Hamas rocket finally hits a real target, a hundred Palestinians are killed in revenge … Israel likes to retaliate convincingly… and Iran knows it so well. So … Do you think Iran is eager to receive a hundred Israeli nuclear bombs? If someone brainwashed you enough to make you believe that the Iranian fanatics leading that country are crazy enough to commit suicide then there is nothing Shai or I can say to convince you to Change your mind. The comments section is open for all to post articles, full or linked. Akbar Palace has been linking his Israeli propaganda here for years … every day. No one is editing his links out. Of course I ask you simple questions. That’s because you don’t seem to have asked yourself these very questions. If each time someone asks you something, all you do is find a link on Wikipedia, or Memri, or whatever else, this shows (me, at least) that you’re not used to thinking on your own. That you’ve been “taught” to divert attention to something else. So finally you attempted to answer my “simple questions” and that’s a good thing. You defined what it means “to destroy Israel”, and I’ll accept this definition. It certainly is part of what I would also use to define the same. However, I think you’re either too quick on the draw to answer the 2nd and 3rd questions, or you’re not really thinking about your answers. Do you honestly think a single nuclear bomb that goes off in the heart of Tel-Aviv, at just the right time (rush hour traffic let’s say, on the busiest day of the week), will cause “enough death and destruction such that the government ceases to function”? Have you ever asked yourself what kind of damage does a nuclear bomb cause? You can study a bit about the HIroshima/Nagasaki cases, but there many of the deaths were caused by fires that spread quickly through the mostly-wooden building structures. Today, most modern cities are built of concrete, which would substantially limit the damage, in comparison to 1945. But still, what radius and what damage would a bomb have? How many dead? How much radiation? But even without having answered these questions (and I think you should, if you’re going to convince yourself that Iran poses an “existential threat” to Israel), you can already see that even if 100,000 Israelis died (the number would be far less than that), the Israeli government certainly will not cease to function, nor would the rest of Israel. No one in Israel (not even this liberal!) would capitulate, and hand over the Zionist keys to the Iranian regime, or its proxies in the region. So, maybe 5 bombs you might say. So run some figures, and see if 5 bombs would “destroy Israel”. I promise you that they would not. Now 10 or 20, and another couple Hydrogen bombs… that’s a different story. But most would agree that for Iran to achieve that capability, they’d first have to become the 51st American state, then take over the American government, and then plan out its evil destruction of Israel. And even if Iran DID have 5 or 10 or 20 nukes, do you honestly think they’d use them against Israel, which at least according to Jimmy Carter has 188 nuclear weapons? (Probably much more). Are you suggesting that certain regimes are so fanatic, so suicidal, that they’d risk their own survival, and the lives of millions of their own citizens, only to attempt to hurt (or attempt to destroy) a nation like Israel? Do you have even a single case in history where this has happened? And please don’t give me Nazi Germany as the example (though Bibi likes to refer to 2009 as “1938 all over again”…) because at the time, Germany was far stronger than either the U.S. or Russia. In fact, had WWII ended much sooner than 6 years, there’s a good chance Qunfuz would be writing his comments in German, instead of English. And, I probably wouldn’t be here right now. The only reason Germany lost the war, is because it underestimated the industrial and production capabilities of the U.S. and Russia. It took them a number of years to produce enough tanks, planes, and ships, to finally defeat Germany. I’m sorry to inform you, but Iran is not Germany, and Israel is not Poland. But if we were, then Ahmedinejad would have to invade a Poland that had 100 times as many nuclear bombs as he did, and probably a far superior army and air force. Do you think he would still have invaded? Or even attacked it with (later on) V-1 or V-2 rockets? “Destroy Israel” is most likely done internally through rising religious extremism and intolerable racism, not with hypothetical Iranian nuclear bombs or by other neighbours. By the way Iran has so much important targets for their nukes in US and Israeli propaganda that it is likely they will not have enough them for the next hundred years for nuking Israel. Iran must bomb first Saudi Arabia, Egypt, Turkey (as Ariel Cohen from Heritage Foundation just a while ago said on BBC), Europe and Russia. Vice president Biden said in WSJ interview: I can see Putin sitting in Moscow saying, ‘Jesus Christ, Iran gets the nuclear weapon, who goes first?’ Moscow, not Washington. The Russians must be rolling on the floor with laughter. Come-on do American really believe that this kind of idiotic propaganda day after day is effective? Surely some American can believe what Biden said, but surely not Russians or other Europeans. Israel has already hundreds of thousands of Israeli Jews living permanently abroad, including Akbar. Some sources say even one million. Most news coming from Israel tell about the rising influence of religious extremism and racist nationalism with deliberate increasing provocations. When the situation becomes worse capital and the secular part of the Jewish population will make their conclusions and use their second or third passport. No nukes are needed. I’m sorry to inform you, but Iran is not Germany, and Israel is not Poland. Shai actually Israel is much like Poland in relation to the relations with the bigger and in the course of time stronger neighbours and a bully foreign policy. Both countries have a tendency of creating a situation where friends are far away and enemies close. Thank you , Does it mean that a country with a Muslim majority can have secular laws that do not violate the Quran , but do not agree fully with the Sharia laws,?. The story in the news in the US is not about corrupt Rabies , It is about Syrian Jews and Syrian was prominent in the story and was clear that they were targeted and were blamed for being close to each other and rejecting non Syrian Jews for marriage . As for Israel = Poland, don’t forget many Jews in Israel are originally from Poland (like most of my family), so there’s no doubt we have similarities. But in terms of strength, and in comparison to 1939, Iran is not Germany and Israel is not Poland. Btw, most Israelis certainly do not have 2nd or 3rd passports. Most Israelis have no alternative but Israel. Even those over 60 or 70 that may have been born abroad, have long ago given up their other citizenship (normally forced to, not willingly). Am i the only one who is having trouble with the home page ?. Yes. I came in “indirectly”. Before I start answering your questions, would you be so kind to answer the I asked you last week about why Syria considers the relationship that the US has with Jordan and Eygpt to be insufficient? Akbar Palace has been linking his Israeli propaganda here for years … every day. No one is editing his links out. Just another point regarding your statement above. The pro-Syrians not only link to pro-Syrian articles here EVERYDAY, but they often paste large portions of the article, and sometimes the whole article. If you noticed I only post links. I do this because I leave it to the reader to determine if it is worth reading, and it leaves the thread a lot shorter. I wish others here would link instead of cutting and pasting the whole article. So finally you attempted to answer my “simple questions” and that’s a good thing. Good. I like “good things”. Do you honestly think a single nuclear bomb that goes off in the heart of Tel-Aviv, at just the right time (rush hour traffic let’s say, on the busiest day of the week), will cause “enough death and destruction such that the government ceases to function”? A modern hydrogen bomb would be tens of times more powerful and cause similar levels of damage at 2-5 times the distance. How much radiation? But even without having answered these questions (and I think you should, if you’re going to convince yourself that Iran poses an “existential threat” to Israel), you can already see that even if 100,000 Israelis died (the number would be far less than that), the Israeli government certainly will not cease to function, nor would the rest of Israel. No one in Israel (not even this liberal!) would capitulate, and hand over the Zionist keys to the Iranian regime, or its proxies in the region. 3.2 million people live in the Tel Aviv metropolitan area. Therefore, considering today’s nuclear technology, I do not think only 100,000 Israelis would die. By the way Iran has so much important targets for their nukes in US and Israeli propaganda that it is likely they will not have enough them for the next hundred years for nuking Israel. Thanks for your “opinion”, but as usual, it doesn’t mean very much. Iran has only threatened to annihilate Israel and the US> I don’t believe they’ve threatened any other country. Of course your words are meaningless. It reminds me of the typical anti-semite who, on the one hand, denies the Holocaust, and then on the other hand, laughs about Jews being gassed and thrown into ovens. Also, the experience with fundamentalist organizations like Hezbollah, who fire indiscrimately into population centers, means the thought of killing muslims only means more people “achieving” martyrdom. US “relations” with Egypt and Jordan, and specifically with Jordan are perceived as a puppeteer/puppet relation by the vast majority of people in the Arab world. Gaza was a mistake, Iraq was a much bigger mistake … Syria, being independent enough, opposed both … America’s moderate Arab friends pretended they opposed but they went along with whatever Mr. Bush decided. Syria wants to remain free to refuse to cooperate with mistakes, by the United States, Israel, or anyone else. Independence does not necessarily imply anything negative. Look at Turkey … member in Nato, close friend of Israel, yet free to refuse to comply with foolish policies of the Bush administration .. Turkey opposed the Iraq war, Turkey opposed Gaza and Turkey decided to have close relations with Syria. Basically, Turkey was independent enough to seek good relations with all its neighbors and to oppose wars in the neighborhood. This is the main unanswered question … is the Unites States interested in such an ally? The past few decades, Syria was alone is opposing American and Arab support and backing to Saddam Hussein, Syria was alone is opposing the failed Oslo agreement, Syria was the first to fight religious fundamentalism while the United States was with Saddam (against Iran), was pushing for Oslo, and was playing with fire empowering the fundamentalists who fought the Soviet forces in Afghanistan… the same fundamentalists who came back as al-qaeda. You are welcome to link full articles as long as they are from mainstream media, not from camera.org propaganda sources. Again, I never post full articles from Arab propaganda sources. DAMASCUS — The Obama administration has told Syria that it will work to ease U.S. sanctions against Damascus, as Washington intensifies its pursuit of détente with a longtime Middle East rival. Syria’s President Bashar al-Assad (right) welcomes U.S. Middle East envoy George Mitchell before a meeting in Damascus July 26, 2009. The U.S. decision targets spare aircraft parts, information-technology products and telecommunications equipment, sales of which have been restricted by U.S. sanctions on Syria enacted in 2004. The step was conveyed Sunday by Washington’s special Mideast envoy, George Mitchell, to Syrian President Bashar Assad during an hour-long meeting in Damascus. The move represents the latest action in a rapidly accelerating rapprochement between Washington and Damascus initiated after President Barack Obama took office this year, said officials from both countries. Messrs. Mitchell and Assad also discussed Sunday the possibility of the Pentagon dispatching to Damascus its second delegation of officers from the U.S. Central Command to discuss greater cooperation in preventing the flow of al Qaeda militants and other foreign fighters into Iraq through Syrian soil, said Syrian officials. The White House hopes to woo Mr. Assad away from his strategic alliance with Iran, in an effort to stabilize Iraq, Lebanon and the Palestinian territories. For Syria, Mr. Obama’s decision could mean relief from pervasive sanctions that have crippled Syria’s airlines and slowed the Middle East nation’s entrance into the information age. Among the companies that could be affected are airplane maker Boeing Co.; software companies Intel Corp. and Microsoft Corp.; and information-technology companies like Cisco Systems Inc. While significant, U.S. officials said Monday that Washington’s move doesn’t mark a formal lifting or easing of its sanctions on Damascus. President George W. Bush authorized the sanctions in 2004, under legislation known as the Syria Accountability Act, specifically because of Damascus’s support for the militant groups Hezbollah and Hamas, which are fighting Israeli forces from Lebanon and the Palestinian territories. Administration officials said Mr. Obama would seek to use his waiver authority under congressionally mandated sanctions to aid purchases of U.S. products deemed important to the welfare of the Syrian people. The U.S. and Syria have clashed in recent years over allegations that Damascus was seeking to develop nuclear weapons and that it played a role in the 2005 murder of the former Lebanese President Rafik Hariri, both of which Mr. Assad’s government has denied. The U.S. believes Syria was attempting to build a nuclear reactor complex, which Israeli jets destroyed in late 2007. Syria vocally opposed the U.S.-led 2003 invasion of Iraq, despite Damascus’s long-running disputes with Saddam Hussein. Some Syrian officials even worried Mr. Bush’s government could seek to topple Mr. Assad’s government after occupying Baghdad. Today, Syrian officials say that President Obama’s announcement of a clear timetable for withdrawal has provided Damascus with new incentives to cooperate on Iraq. “Now with a new administration, when we have assurances that the Unites States will withdraw from Iraq by 2011, then we do believe that full cooperation between Syria and the United States in different fields, not only security issues, will definitely be welcomed,” Mr. Mekdad said. The Obama administration’s moves toward rapprochement with Mr. Assad, however, are raising concerns among some U.S. allies in the region, such as Israel and Egypt, as well as some Syrian democracy activists. They worry that relieving pressure on Damascus could lessen its willingness to cut ties to Hezbollah and Hamas and to open Syria politically. Syrian officials say that the sanctions have severely hit the country’s national airline, Syrian Arab Airlines, by denying it spare parts. “The sanctions are creating a significant barrier, as multinationals don’t want to come in,” said Nabil Sukkar, a former Syrian World Bank economist. Messrs. Mitchell’s and Assad’s discussion about sending the Centcom, or central command, mission to Damascus is designed to develop better cooperation between the Pentagon and the Syrian military in securing the Syria-Iraq border, according to Syrian diplomats. Syrian officials said this week that they are open to receive such a delegation, but want it to include Centcom commander, Gen. David Petraeus. A State Department official declined to comment on the issue. —Julien Barnes-Dacey contributed to this article. Back in December 1990, then US secretary of state James Baker famously said, “It is in a situation such as we have in the Gulf that we cooperate with a major Arab country who happens to share the same goals as we do.” Back then, Baker was referring to Syria. These words were the first signs of a concrete rapprochement between Damascus and Washington, after a gridlock in relations that had lasted, on and off, since 1979. George Bush Sr came to the White House with a new mentality, much like Barack Obama in 2009. When the Gulf War broke out in January 1991, Bush made sure that Israel kept out of the conflict in order to prevent alienating Syria from Operation Desert Storm, and forced Israel to practice self-restraint when Saddam Hussain showered the Israeli capital with Scud missiles. Annoyed by a remark made by Israeli finance minister Yitzhak Modai, who claimed that Washington would have to pay Israel $2 billion (Dh7.3 billion) in compensation for the Scud attacks, Bush refused to channel a $400 million housing development loan to Israel, promised earlier to Israeli housing minister Ariel Sharon. This is the kind of pressure Syria is seeking from the US Administration today, to get Benjamin Netanyahu to commit to peace on the Golan, and to a freeze on colonies. Currently, nearly 300,000 Israelis live in colonies in the West Bank, and approximately 200,000 are found in East Jerusalem. So far, all we have heard from Netanyahu is that colonies are part of the “natural growth” of the state of Israel, and that Jerusalem – occupied by Israel in 1967 – will remain “Israel’s capital”. This week, Obama’s envoy George Mitchell wrapped up meetings in Damascus, where he described his talks with President Bashar Al Assad as “very candid and positive”, adding that he told his Syrian host that Obama is “determined to facilitate a truly comprehensive Arab-Israeli peace”. Meanwhile, in Israel he tried to downplay very visible differences with Israeli officials by describing disagreements as “discussions among friends”. It is rather ironic that, coinciding with an American administration that wants to change the status quo in the Middle East, comes a hard-line government in Israel that is interested in nothing but escalation. Some hardliners in the US are still not convinced that Syria is ready for peace, arguing that it wants a peace process, rather than a peace treaty, with Israel. They believe that because of the election results in Lebanon, and what happened in Iran since June 12, Syria is in a weaker position today, and therefore, more pressure should be applied to it, to extract concessions on the Hezbollah and Hamas resistance movements. That is apparently not what Obama thinks, since shortly after the Lebanese elections, not only did he send Mitchell on his first visit to Syria, but also announced that he would be sending an ambassador to Damascus to fill a post that has been vacant since 2005, and quickly withdrew the charge d’affaires, who was a reminder to the Syrians of the Bush era. Taking the lead from the US is Saudi Arabia, which has engaged positively with the Syrians since January, ending tension that has lasted since 2005. Earlier this month it announced that it, too, was restoring an ambassador to Damascus, and plans are underway for King Abdullah Bin Abdul Aziz to visit the Syrian capital. One of the common denominators that can bridge the gap between Syria, Saudi Arabia, and the US is Iraq. All three happen to have common benchmarks in Iraq; counter-terrorism cooperation, border security, reconciliation of all parties, and bringing the Sunnis strongly back into the Iraqi political process. They also want no militias, no more autonomous districts, and no more religiously driven politicians running Baghdad. Earlier this month, US Vice-President Joe Biden landed in Baghdad to talk Iraqi leaders into a reconciliation conference, to be held in the US in late 2009. Reportedly, Obama wants all parties involved in Iraq, including the Syrians, Saudis, Iran – and Iraqi Baathists – to attend the conference. Prime Minister Nouri Al Maliki was furious at trying to get the Baathists, and Sunni tribesman opposed to his government, onboard the proposed Washington conference, via Syria and Saudi Arabia. The Americans want both countries to help control hotbeds of the insurgency, like Anbar, and are very pleased at the results of the latest provincial elections, where thanks to Syria and the Saudis, the Sunnis voted in large numbers, even in strongly anti-American towns like Tikrit. They also believe both countries can help disarm – or at least tame – the 170,000-strong Awakening Councils who were armed to the teeth – then abandoned – by the Bush Administration. This would be step one towards reconciliation, the Americans believe, hoping that this can be repeated – if Riyadh and Damascus push the right buttons – in the upcoming parliamentary elections of early 2010. If the Americans had a check-list of priorities, they would give Iraq high priority, while the Syrians are clearly more interested in restoring occupied land to its rightful owners. Common ground can be found between a regional conference, chaired by Obama, on Iraq, and another conference, this time international – also chaired by Obama – on peace and restoring the Golan to Syria. The Syrians are capable and willing to help the Americans in Iraq, but want Obama to pull the right strings – a la James Baker in 1991 – to get the Israelis to change course vis-a-vis Middle East peace. Thanks for answering my questions. Your responses are interesting and as an ex-pat Syrian, I take them as being accurate. On November 8, 2002, the Security Council passed Resolution 1441 by a unanimous 15-0 vote; Russia, China, France, and Arab countries such as Syria voted in favor, giving Resolution 1441 wider support than even the 1990 Gulf War resolution. Although the Iraqi parliament voted against honoring the UN resolution, Iraqi President Saddam Hussein over-ruled them. And when the US leans hard on Israel, Israel has to think twice too. No country is immune to international politics. Not even Syria. Independence does not necessarily imply anything negative. Look at Turkey … member in Nato, close friend of Israel, yet free to refuse to comply with foolish policies of the Bush administration .. Turkey opposed the Iraq war, Turkey opposed Gaza and Turkey decided to have close relations with Syria. Basically, Turkey was independent enough to seek good relations with all its neighbors and to oppose wars in the neighborhood. However, they still have yet to join the Eurpean Union, and if they want to break the embargoes against Iran, it probably won’t help. Israel is interested in another Arab ally and the US is interested in another Arab ally. But, as you know, it just about business; nothing personal. What can the US get from Syria? Will Syria stop supporting jihadists? Can Syria be trusted? Will Syria continue to support terrorism behind everyone’s back? What will their relationship be with Israel? With Iran? What is the price the US will have to pay? Or is the status quo the cheapest alternative? And BTW, nothing will happen unless Syria and Israel shake hands. As pointed out earlier, that isn’t totally true. All Arab states disagreed with the Bush administration. Just by varying degrees. Also Arab states did not aide and abet jihadists like Syria. And again, Syria voted FOR UNSC 1441. So I don’t buy Syria is quite as strong as you claim. Moreover, I think you are kidding yourself if you think Assad will look ANY BETTER than King Abdullah or King Hosni. Personally, I think all three leaders will be “tolerated” by their own people for “caving in” to Israel. All three nations, Eygpt, Jordan, and Syria have their strengths and weaknesses, and I don’t believe Syria is the leader in this regard. I’m disappointed. You are correct, typically you will not find a very anti-Israel article in the WSJ, especially on the editorial page. But I can link PLENTY of “Arab Propaganda” articles that cover your web pages and archives. Shall I create scores of links to remind you? Please! Both Arabs, Palestinians, Jews and Israelis have a narrative. I claim A, you counter claim with B. A casual observer than can get an idea of who is mostly right and who is mostly wrong. Yes, there are few cases of pure white and pure black. As you know, CAMERA does a lot of exhaustive research. As you can read on their website, they have forced “respectable” news sources to retract statements, offer clarifications, or apologize for erroneous statements of “fact”. I am finding a lot of erroneous on Syria Comment, and I find it my duty as a Jew to point it out. I believe you have the same duty as an Arab to point out any erroneous statement I make as well. If you are going to ban LINKS to CAMERA, where will it stop? They are only LINKS, one does not have to click on them. One of the most fascinating documentaries I’ve ever watched, and which has influenced me more than any other perhaps, is Robert McNamara’s “The Fog of War”. I referred to it a number of times in the past, and I strongly urge anyone to watch it. It will change the way you look at conflicts, I guarantee it. For anyone who wishes to exist peacefully in this world, be it a person, an organization, or a nation, this is a key principle. Ignoring it can lead not only to isolation, boycott, and ostracism, but indeed to other horrific consequences as well. Do we have the right to take that chance? Assef-watching: Gulf States Newsletter reports that Assef Shawkat is “said” to have been quietly removed from his position as chief of military intelligence, and replaced by Abdelfattah Qudsiyeh. Does this ring any bells? Akbar, funny how you never find anything “erroneous on Israel”, or find it your duty as a Jew to point it out. Good point. Through all my years participating on websites like this, I always find a handful of Jews such as yourself who DO “find it your duty as a Jew to point…out” Israel’s errors and mistakes. But no, I do NOT believe that is my “duty”. There are plenty of participants and liberal Jews here to do that for me, and almost no one here to do the opposite: take up for Israel. Considering that the arabs have over twenty states and a population of over 430 million (about 30 times more than the Jewish population worldwide), I feel Israel can use my help more than, say, Syria or Palestine for that matter. When Israel is wrongly accused of something, there should be voices out there defending it. When, for instance, certain people on this site have suggested that all Israelis are racist, I always tried to counter this claim. Though it certainly wasn’t easy, even during Operation Cast Lead, I tried to keep some tiny flame of hope alive by staying online and continuing to communicate. I did that, despite feeling terrible anger towards those in Israel who felt the hugely-disproportionate killing was justified. You know my views on Antisemitism, and on considering every Zionist a criminal. But there is another point that I think you may be overlooking here. Which is, that the Arabs on this forum do not find a liberal who isn’t defending Israel blindly any less patriotic than a conservative who does. In fact, sometimes it’s quite the opposite. They realize that to muster the moral courage (if I can call it that) to continuously criticize my own “regime”, my own people, my own behavior, both in the present as well as the past, does in fact stem from great concern, even great love, for my country. Why else would I spend so much time talking about what is wrong, and what has to change, and yet continue to live here, raising a family with two little girls, and infinite hopes and dreams for a better future? I never subscribed to the “Best Defense is a Good Offense” philosophy. If I’m being attacked, before I attack back (or preempt), I better take a close look at myself first. Because one thing is clear – those who watch me, certainly those effected by me, have a far better perspective than I do. And like that quote by McNamara I put up there in the previous comment, if I can’t convince my friends and allies of the merit of my cause, I better reexamine my logic. This process, I believe, is what differentiates between people and nations that remain stubborn, ignorant, backward, and those that boldly move forward, and change for the better. As a Jew on this blog, why not adopt this “duty” as well – to help Israel change for the better? Syria’s vote for 1441 was totally irrelevant .. Syria has no veto power and its vote was not going to change a thing .. so Syria voted with “the international community” just like the other 14 members in the SC because the US administration was at the time waiting for Syria to be the only country to vote against that resolution in order to portray Syria as an outlaw state somehow. It was simply a pragmatic move meant to take away one tool of potential Bush administration pressure on Syria … Syria did not have the luxury at that time to register a symbolic resistance to the war. Real resistance to the Iraq war took other shapes, Iraq’s neighbors Syria, Turkey and Iran all played different roles there. Syria has no veto power and its vote was not going to change a thing .. so Syria voted with “the international community” just like the other 14 members in the SC because the US administration was at the time waiting for Syria to be the only country to vote against that resolution in order to portray Syria as an outlaw state somehow. Empty words? … no habibi … Syria’s vote at the UNSC was not a sign of lack of independence… Syria did not lose a thing there. 1) since 1980 Syria opposed Saddam when the US backed him … now? … Saddam is gone, the US realizes its mistake. 3) Syria Opposed the Iraq war and opposed the mood in the US that everything can be solved through the use of power .. now? .. the US learned the lesson that the Iraq war, and the use of force, are mistakes .. big expensive mistakes. The Bush administration was planning to invade Syria next … instead, Bush is back in Texas and Syria is courted by western diplomats every day. Akbar … try to restrict your anti Syria propaganda to battles you can win. AP , it is time for you to declare your independence . AP’s “compensation” is probably only his satisfaction that he is helping the state of Israel by transforming himself into an online robot. I am not here to comment on what Syria will win or lose in terms of international politics. Of course, I think Syria has been losing for years. I am here to point out that YOUR pro-Syrian “bravado” are mere empty words. Syria is no more “independent” than any other third world nation. Saddam is gone, the US realizes its mistake. The Obama Administration may believe getting rid of Saddam was a mistake, but most conservatives were glad Saddam was kicked out and would do it again. See, Syria, Likud and the Neocons are all smart people. The difference is, in a democracy the people change course and learn from their mistakes. The people participate in charting a direction for the country. The Syrian people have never had that opportunity. They’ve learned to stagnate. If a peace treaty is signed, I’m not convinced Syria will remain stable. Syria may resemble another American military-supported dictatorship. Syria Opposed the Iraq war and opposed the mood in the US that everything can be solved through the use of power. So. Every other country in the world opposed the US. “Syria” doesn’t oppose anything. Only a handful of Baathist leaders and billionaires call the shots. If Syria “has been right” all these years, how do explain a Syrian per capita GDP of $4,800 and an Israel per capita GDP of $28,200? Akbar this is for you. This week marks intense U.S.-Israel negotiations. So where is Israel’s foreign minister? It would be interesting to know what confidence building steps “the owner of WP” thinks Arab countries should take when Israeli leaders say “Jerusalem is out of discussions”, “Golan pullout would put Iran on Israel’s doorstep”,”Netanyahu: Golan ours forever”, “Netanyahu: Golan Heights Indispensable for Israel”, “Netanyahu: West Bank ‘cannot be Judenrein'”, “Netanyahu: Israel won’t dismantle West Bank fence”, “1948 no catastrophe says Israel, as term nakba banned from Arab children’s textbooks” ETC. Why Akbar they in your circles are increasingly in Israel demanding building the third temple? Akbar who owns Washington Post? Let me guess. The Mossad? The “International Jewish Conspiracy™”? As usual, I see your obsession with Jews is still alive and well. If you read the article, the editoral said “they [the Palestinian leadership] also balked at delivering the “confidence-building” concessions to Israel that the administration seeks”. So far, they’re refusing to sit at the table. The settlement issue is a ruse because the GOI can force settlers to move, like they have so many times before. At this point, the negotiations haven’t even gotten off the ground. Akbar it is natural that an Arab or Muslim owned/run news media and their reporters write and report from their perspective. Why should it be different with Jews especially when they write about Israel. Sure I know there are numerous Jews around the world with a very critical view of Israel’s policies. The difference is that they mostly do not get much voice in the US main media. The “kosher” ones get much more, especially in their own media. Here you go Akbar, today was not a good day for settlers and Bible Belt Jews. Like it wasn’t yesterday or will be the months to come. Besides settlement freeze much bad PR. Didn’t you Akbar just say “I find it my duty as a Jew to point it out” (comment 30). Yes. So? I expect Jews to defend Israel, I expect Arabs to defend Arabia, and I expect Finns to defend Finland. Is this a new concept for you? Of course, I expect anti-semites not to defend Israel. Have Katharine Weymouth and other American Jews a different “duty” than you have? As a typical anti-semite, you asked me, “Akbar who owns Washington Post?”. You would have to ask Katharine Weymouth what her “duty” is. As the owner of the WP, it is her duty to report accurately on the news. Unfortunately, you need to understand that just as there are anti-semitic non-Jews, there are also pro-Israel non-Jews. By owning the WP, I really don’t know if Ms. Weymouth is pro- or anti-Israel. FYI – Ms. Weymouth is not Jewish. By the way didn’t WP just have a scandal with suggested “off-the-record dinners with journalists and power brokers paid for by a sponsor”. Hmmmm it would be interesting to know who was intended to be the one of the sponsors. Anti-semites quite often fall into the trap that the whole US media is biased in Israel’s favor. The WP has been a trusted newsource for decades, and CERTAINLY critical of Israeli policy. But not all the time. I suppose that bothers a lot of people. Akbar it is natural that an Arab or Muslim owned/run news media and their reporters write and report from their perspective. Gee Sim, you’re catching on. Why should it be different with Jews especially when they write about Israel. Sure I know there are numerous Jews around the world with a very critical view of Israel’s policies. The difference is that they mostly do not get much voice in the US main media. The “kosher” ones get much more, especially in their own media. If you were objective, you would realize that the majority of Arab news sources are controlled by the government. Not so in the US (including the WP) and not so in Israel. Both in the US and Israel, there are plenty of news sources both liberal/left, middle-of-the-road, and conservative/right. Or are you telling me you didn’t know this? Let me guess .. that comment was written for you by another Israeli …? 2) My “pro Syria Bravado” come after you display your typical list of counter arguments to absolutely everything you hear from us … your pro Israel propaganda deserves nothing better than that from me. 3) Syria lost because of of low GDP? … you might have a point there … some Syrians probably prefer to improve Syria’s economy at the expense of Syria’s sovereignty … but many other Syrians prefer to see their country continue along the same path in its regional policies. You may be wise to note that, unlike most Israeli paranoia-experts (politicians, national security advisers, diplomats), Isaac Ben-Israel actually HAS some experience in the fields of security, intelligence, science, and academia. He is the first IAF officer to become Major General without being a pilot. He headed the Ministry of Defense’s R&D (huge). He won the prestigious Israel Security Award, on his own, twice! (First at age 23, second at age 52). He also has a doctorate in mathematics, philosophy, and physics. Unlike most paranoia-experts, he actually DOES know what an Iranian nuclear bomb can and cannot do. He has always said that a nuclear bomb cannot destroy Israel. Oh, and he’s also Chairman of the Israel Space Agency (our equivalent of NASA). And sits on the board of directors in a few “minor” Israeli companies, such as Teva. I’m also aware of the Jewish habit to self-criticism. Actually, too much of one thing isn’t healthy. Why? Everything you italicized was written by me. So what is it – is the situation bad or good? I read the article you linked to. There were some things I agreed with, but mostly, I didn’t. Not being inside any govenment security apparatus, I don’t know exactly when the Iranians will have a bomb. All I know is, I wouldn’t wait for that day to arrive. For what it’s worth, I posted Comment #4 (underneath the article you linked to) for a rebuttal. The percentage of high school dropouts is not going to destroy Israel. Its good news!!! The author’s head is in the sand. The reason that only in Israel all Jews don’t graduate high school is because Zionism is doing its job. Israel is the only place in the world where Jews can afford to be normal people, even if “normal” means some will be poor or drunks or slackers who don’t study and have to be laborers and uneducated unskilled factory workers, or pickpockets – or even full-time “Torah scholars” with no actual job. In Israel, Jews don’t have to be doctors or lawyers or extra-sharp businessmen to survive as minorities – who have to be just a little more clever than everybody else to compete. Like Bialik predicted about the 1st Jewish policeman arresting the 1st Jewish prostitute – the proof that a real Jewish State will have arrived. In Israel, even the anti-semites are Jewish, like pro-Hamas leftists and Gush Shalom quislings. It comes with being a Jewish State. What’s abnormal in Israel is that anti-state traitors are treated like decent citizens practicing free speech – THAT is the real threat to Israel – misunderstanding democracy. The democratic, freedom-loving USA would NEVER tolerate such conduct, certainly not in wartime. Our laws ban treason and sedition. Israel needs to wake up, if it also wants to see its 200th birthday. Don’t worry about the diplomas – besides, Albert Einstein never graduated high school. He has always said that a nuclear bomb cannot destroy Israel. And Moshe Dayan said the Egyptians and the Syrians wouldn’t attack in 1973. Could someone, preferably with ties to Syria, please comment on what the latest sanctions stick delivered by Obama means in terms of moving a normalization process forward? Will the Assad govt just shrug it off as business as usual or see it as a setback to the process? Since the consensus appears to be that Syria refrained from interfering with the Lebanese elections, I’m curious at the focus on the accusations implying just the opposite scenario.